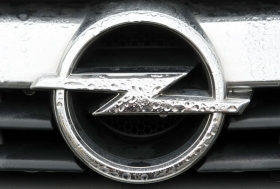 Opel will set aside state aid as an emergency reserve if sales keep falling. FRANKFURT (Reuters) -- Opel has hundreds of millions of euros in cash and is ahead of its sales targets to the end of May, Fred Irwin,the head of the German trust overseeing the General Motors unit, said on Monday. "Thanks to the initial 300 million euros ($420 million) of a state and federally financed bridge loan, Opel has a positive cash flow. There is no emergency situation. They don't need to file for insolvency under German law. That issue is over," Irwin told reporters. Irwin, the president of the American Chamber of Commerce in Germany, said he could not comment on reports on Opel's daily losses because the trust he chairs gets regular updates only on its liquidity situation. "Opel is ahead of its 2009 budget in the first five months through the end of May, both in terms of its top-line revenue -- which is what we are interested in primarily -- as well as car sales," he said. Irwin said Opel had a "nine-digit cash amount," adding that the exact figure was toward the low hundreds of millions. Earlier, a company source said Opel finance chief Marco Molinari had told the carmaker's supervisory board on Friday he planned to use just 1.2 billion of the 1.5 billion euro bridge loan, setting aside the rest as an emergency reserve. Bankrupt U.S. parent General Motors is negotiating the disposal of a majority stake in Opel, a process that Irwin and the five-member board of trustees oversee as formal owner of a 65 percent stake. He said the trust wanted every one of the four bidders for Opel to have the same access to information to level the playing field as much as possible, but conceded that time was becoming more important in the process. He said the trust had recommended that GM set a date to close the virtual data room to potential bidders so any party wishing to join Magna, Fiat, Beijing Automotive Industry Corp (BAIC) and RHJ International should voice their interest soon. "Time is running against a completely new investor." Analysts and sources close to the talks expect that Opel will be sold to a consortium led by Magna, unless the Canadian auto parts supplier itself decides to call off the deal. "Magna emerged as the winner from the bidding process that ended on May 30. Others can only have a shot in the unlikely event that the constructive talks with Magna were to fail," Roland Koch, premier of Opels home state of Hesse, told the Financial Times Deutschland paper. Irwin said a preliminary contract in favor of one bidder by July 15 was not a necessity. "We, the trust, told GM that this should not be viewed as a fire sale. If they need more time, they should have the time," he said, explaining that the parties were trying to finalize in weeks a deal that usually required seven to eight months.